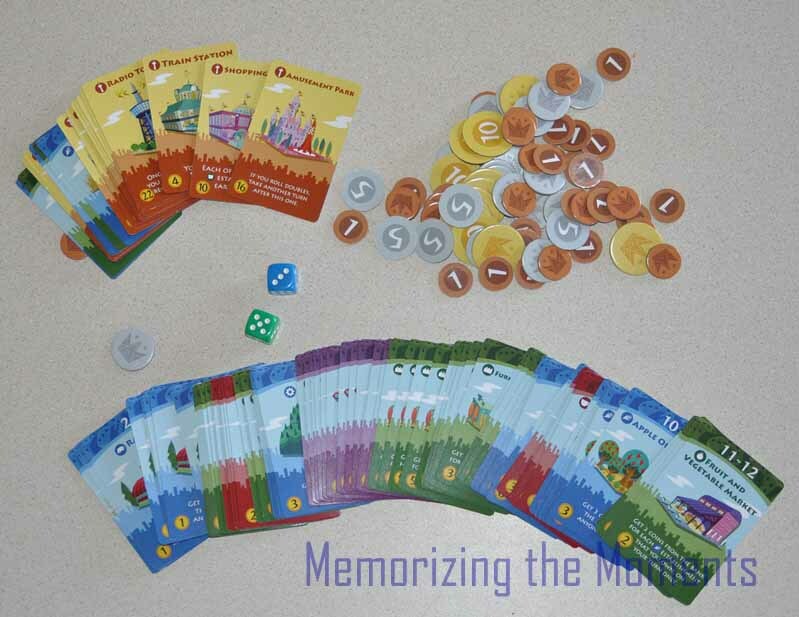 This is a game that combines card collecting with dice rolling. The idea that you're mayor of a city and you want to add cool new attractions to your city. You do it by making money off of different types of public works projects you "build." It is kind of nice because you can make or lose money on other players turns, so you have something to do regardless of whose turn it is. Being able to read the cards is definitely helpful, but a non reader could probably still be able to figure it out with a little help. This game involves some strategy, such as figuring out how much to diversify your cards and when you should buy new cards and when you should develop attractions. There's also a little bit of probably/math involved. He has to know that no one is going to roll a 9, if we're still at the stage of the game where we only roll one die. Also, it is less likely that someone will roll a really low number if they're using both dice. We had liked this game so much, that a friend of ours got us the Millionaire's Row expansion pack. 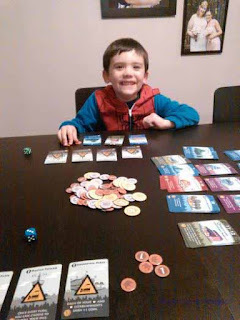 While having a bigger variety of cards was nice, it got to be a little much for Xander, especially when we played by the rules that came with it. We ended up doing a combination of the original rules and the expansion pack rules to make it more fun for everyone. However, we definitely don't play as much as we did when we only had the original game, mostly because the games end up taking a lot longer.